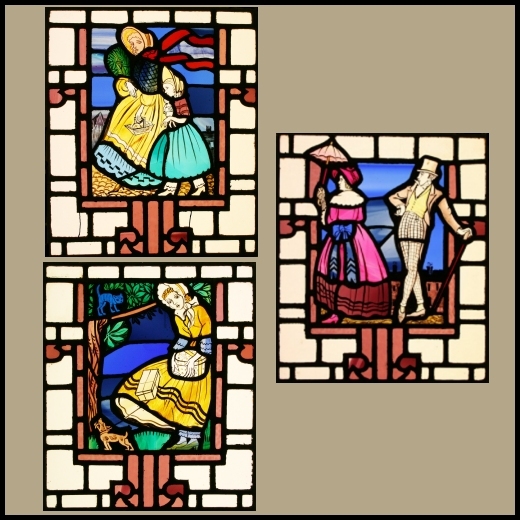 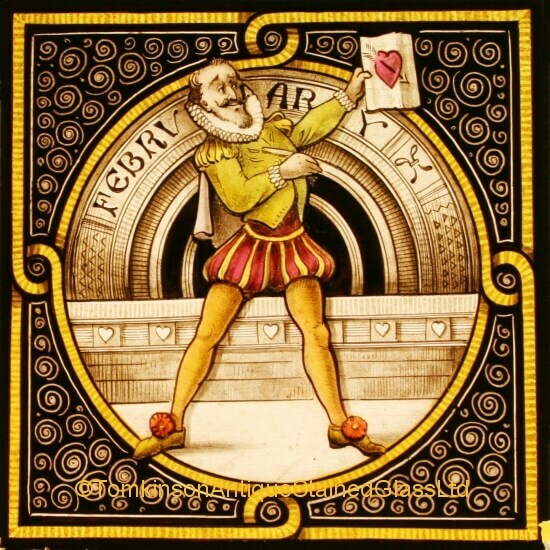 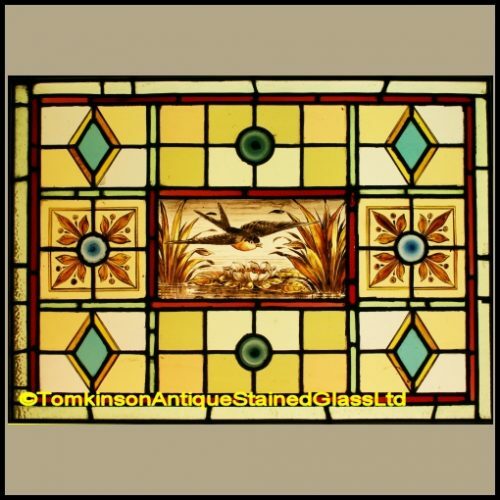 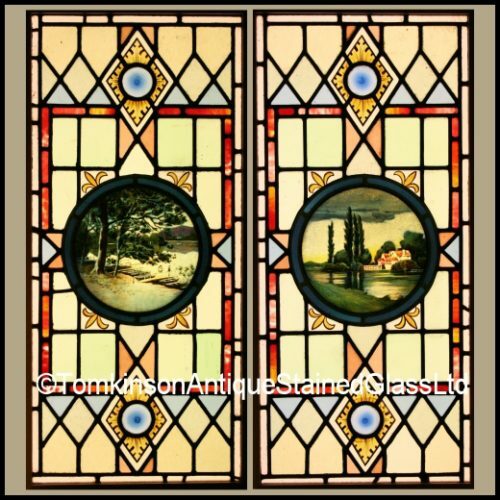 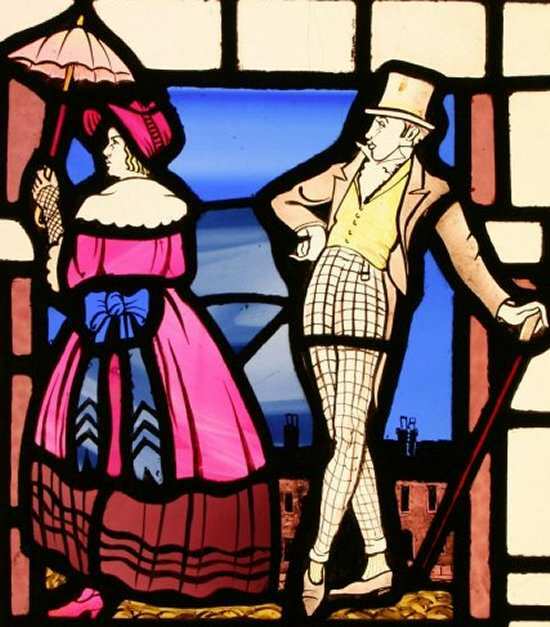 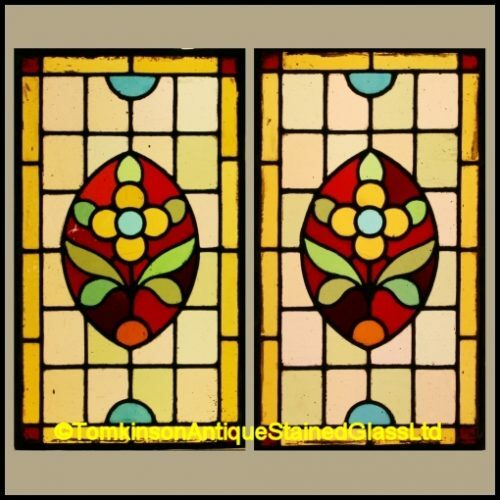 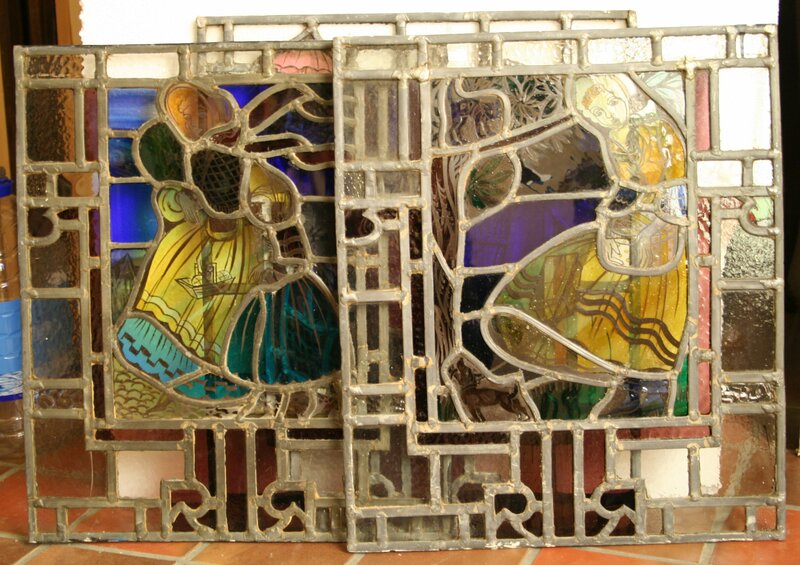 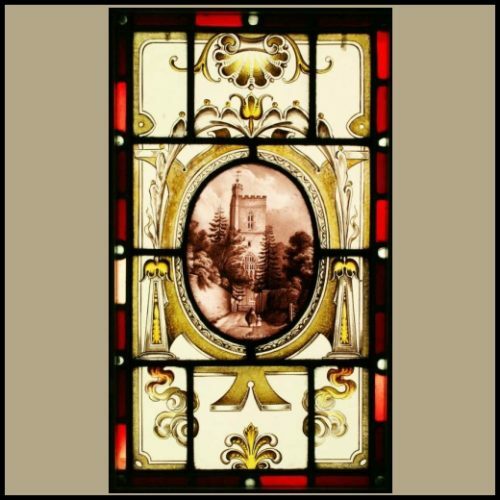 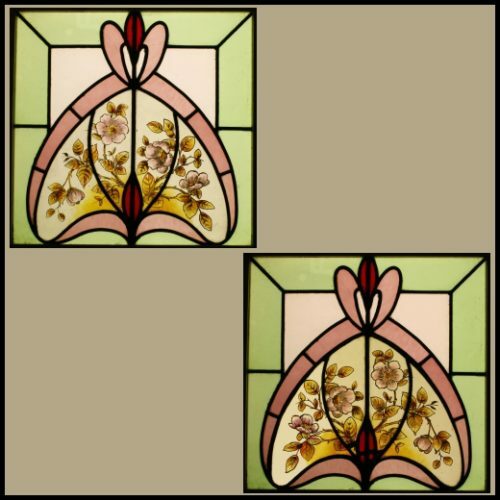 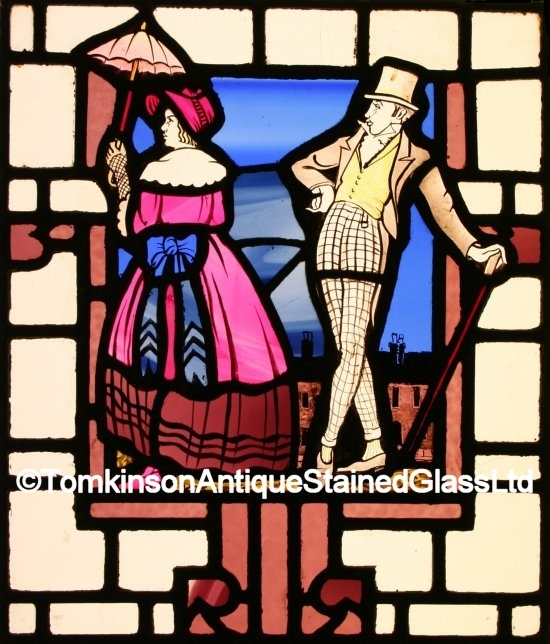 Set of 3 antique stained glass windows, each leaded with hand painted panels depicting whimsical scenes. 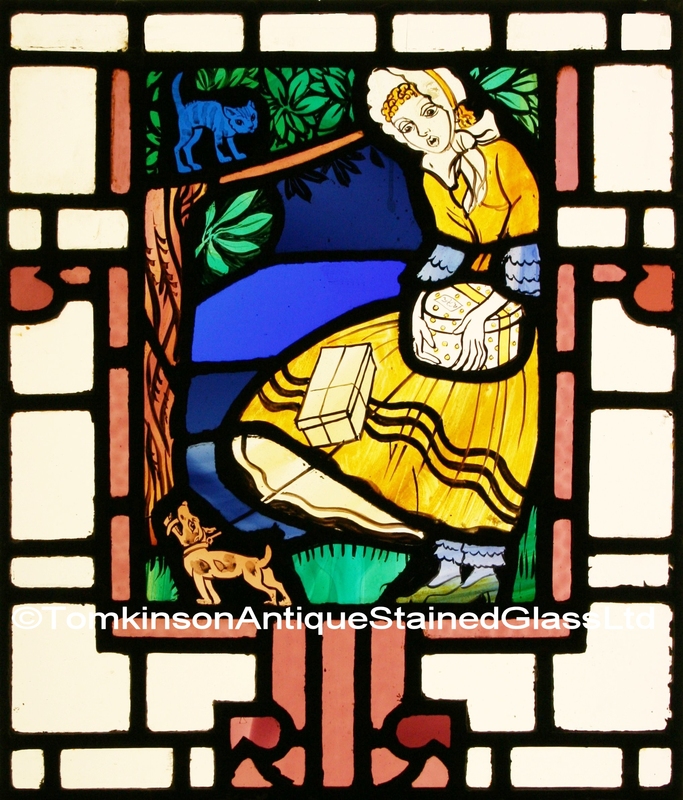 A lady and girl walking, a lady being courted by a gentleman and a dog chasing a cat up a tree. 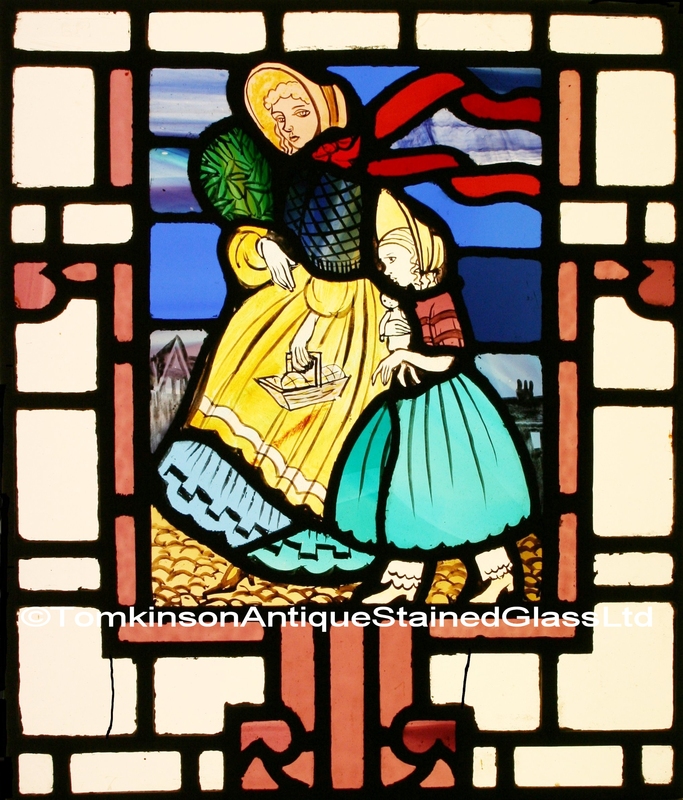 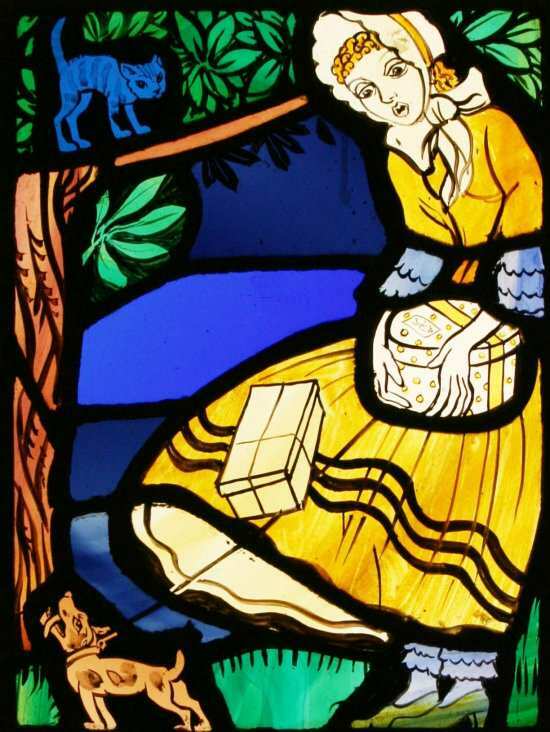 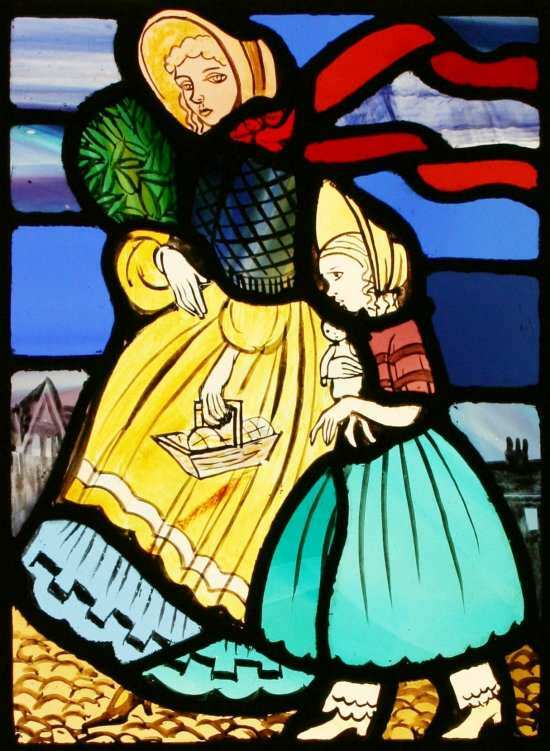 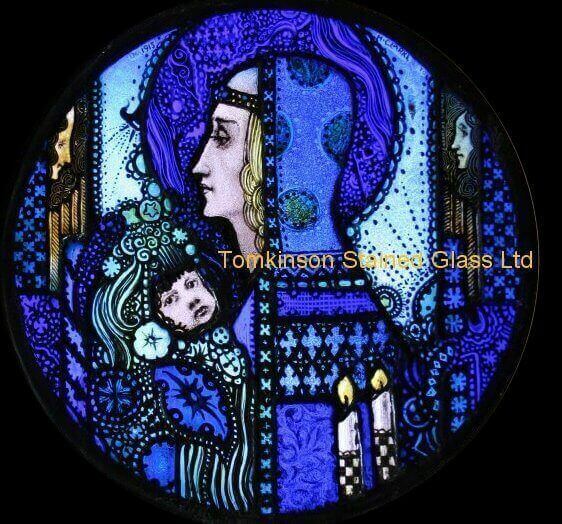 Each with obscure clear and coloured Flemish glass.